Born and raised in Sydney, Dalara grew up with a strong involvement in her community and sports, including netball, softball, athletics, volleyball and many more. It wasn’t until 2010 that Dalara decided to give acting a chance by enrolling at Eora College in Sydney, where she fell in love with the craft. 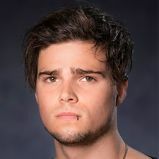 By 2012, Dalara had successfully applied to the Aboriginal Theatre course at Western Australian Academy of Performing Arts, where she explored various Indigenous plays, contemporary Aboriginal dance, with her final performance in Crowbones and Carnivores by David Milroy. 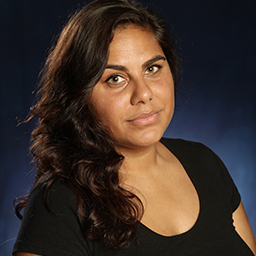 In 2014, Dalara received her first professional acting debut in the Tiwi adaptation of Snow White and the Seven Dwarfs, Wulamanayuwi and the Seven Pamanui, touring for five months around regional Australia. Off the back of touring, Dalara got the part of Goneril in The Shadow King, a reworking of Shakespeare’s tragedy King Lear as part of Darwin Festival. Throughout her time at NIDA, Dalara has developed and embraced many new skills in acting, writing and theatre development and, during her second year, she received the Hazel Treweek Shakespeare Award. Dalara is excited to take what she has learned in the three years of training into the next phase of her profession, across stage, film and television.